Sacramento, the state capitol of California, is a beautiful city with over 150 years of history. Since the agreement to become sister cities in 1981, we have been deepening our friendship through delegation exchanges and private friendship bonds in a variety of ways. Representatives from the city of Matsuyama were sent to Sacrament in order to commemorate the 20th year anniversary of this affiliation. In 2003 Matsuyama’s Sakura Elementary school and Sacramento’s Matsuyama Elementary schools joined an agreement to become sister schools. 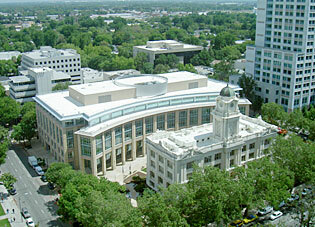 Sacramento is also known as a city born of the gold rush.